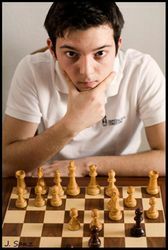 Ivan Salgado Lopez was born in Spain June 29th 1991 and learned to play chess at the age of seven thanks to his brother Oscar and became a Grandmaster at the age of 16. 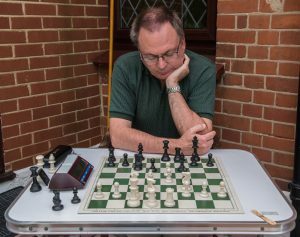 Amongst the best results in his chess career Ivan has twice been Spanish Champion and has won many international tournaments. He was the second of ex-world champions Topalov and Ponomariov amongst other strong Grandmasters. 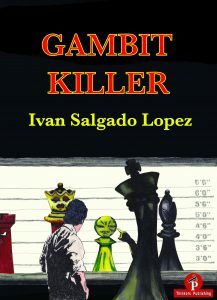 Spanish grandmaster Ivan Salgado Lopez has taken a close look at a variety of gambit lines that can arise after 1. d4 and the main chapters are as follows: Budapest Gambit 34 pages Blumenfeld Gambit 30 pages, Tarrasch and Marshall Gambits 8 pages, Von Henning Shara Gambit 36 pages, Slav Gambits 12 pages, Dutch Gambits 20 pages, Easily Refuted Gambits 4 pages, Albin Gambit 10 pages and finally a chapter containing model games and exercises. The book covers these gambits in sufficient detail to enable you to sit down and play them with confidence and equips the reader with the main tactical ideas behind the gambit together with a detailed understanding of the typical middlegame positions that may arise. One thing that became clear to me when I started reading this book is that this is not a complete guide to all d4 gambits. There are a number of omissions from this book that I would expect to see, for example there is no mention of the Marshall Gambit in the Semi Slav, which is an essential to know if you are playing that opening. Also the coverage of gambits against the Dutch defence is not complete. While the Staunton Gambit (2. e4) is covered well together with the Krejecik Gambit (2. g4) the variations after 2 h3 (an idea of Korchnoi’s : Ed) followed by 3 g4 are not covered. Another issue that I would like to point out is that the book does not contain any index of games or opening variations, something that I would normally expect to find in an opening book. Does this book ‘kill’ the gambits? Well, not exactly ! It provides a refutation for the more dubious and unsound lines and neutralises the dangerous but playable lines. A lot of the gambits covered in the book are completely playable but risky and may be met head on provided that you are suitably prepared. Some of the gambits are recommended for blitz and rapid play games! However, overall this is a good book despite reservations regarding the scope of the coverage.